I’ve been trying, unsuccessfully, to figure out which Gilmore Girls episode features The Polysyllabic Spree , Nick Hornby’s delightful collection of book pieces. Music by The Polyphonic Spree is featured in “Say Goodbye to Daisy Miller” (season 5, episode 1), but I have yet to find a reference to Hornby’s book. Was its inclusion on the official Gilmore Girls reading list a mistake, or does the book appear without a verbal reference? I dunno, but if you do, you are cordially invited to enlighten me. In the meantime … whatever. 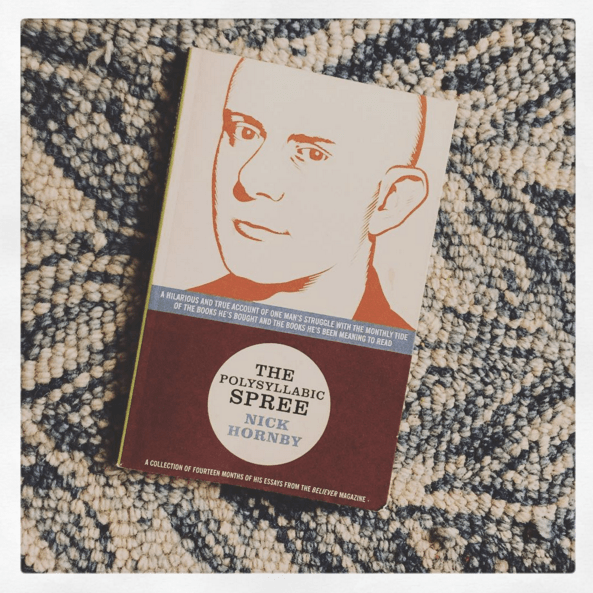 The Polysyllabic Spree is on the list, and I embrace any opportunity to (re)read Nick Hornby. I’ve read all but one of his novels and love them all, deeply, for both their fully realized characters and their ethos. They portray the world as hard and unrelenting but where it’s nevertheless possible to find hope, meaning, and redemption. I believe this to be true in the real world as well, so visiting the imaginative ones Hornby conjures comforts me. It’s like hanging out with like-minded people who know just how to cheer me up, make me think, and make me laugh. Who doesn’t enjoy that from time to time? The Polysyllabic Spree is a collection of his essays about books and reading, originally published in Believer magazine. (Isn’t that a grand name for a magazine?!) Each chapter is one of his pieces. Each piece begins with two lists: one of the books he bought that month and one of those he read. Sometimes these lists correspond; oftentimes they don’t. (Ohhh boy, can I relate to that.) He reads broadly, with passion, curiosity, and respect. He’s thoughtful, insightful, and fabulously witty. Besides the intellectual stimulation and pleasure of reading an intelligent, articulate book lover’s insights, I laughed out loud often reading this book. (And I do so love to laugh.) His humor can be very self-deprecating. This happens to be my favorite kind of humor since it is, I believe, a form of humility (currently the world’s most underrated virtue). Anyway, reading this book the first time expanded my to-be-read list by more titles than I care to confess, to be honest with you. This time around, I was enchanted by his piece on David Copperfield . (Somehow, I don’t expect you’re surprised to hear this.) I’ve read this piece over and over because it’s brilliantly observed and hilariously written. It also gets the novel, which is to say, I agree with Hornby’s assessment of it (I’m sure he’ll be relieved to hear this). His final thoughts on the book mirrored my experience of it precisely. I sighed with sympathetic identification reading them. I read this one many years ago and really enjoyed it. Sadly, I haven’t read any more of Hornby’s work but he was on the Nerdette podcast the other day and now I’m a bit smitten! I’m glad to know you love his work so much. I’ve heard of this book but never connected it with Nick Hornby and didn’t know what it was about – it’s just one of those titles that sounds cool and sticks in your head. Thanks for clearing all that up! And I love that you guys share a love of “David Copperfield”. I was so excited when I saw that chapter. It’s so fun to read one of your favorite living authors waxing eloquent on another of your favorite classic authors. 🙂 Have you tried any of his books? Maybe his latest, “Funny Girl”? It’s so lovely! I’ve read some of them and enjoyed them but I definitely need to read more – thanks for the suggestion! 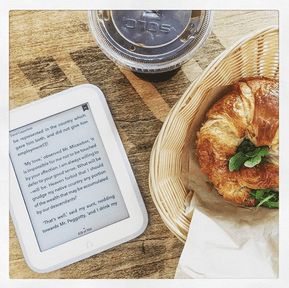 Next PostNext Book lovers’ 7 deadly sins … or not?